Nuisance dogs can cause damage to crops, livestock and property. Some regions of the United States have laws and agencies in place to help deal with such situations. Cut backs in budgeting as well as a surge in wild populations have let homeless dog populations reach all time highs. This trend is expected to continue. More common is the dog owner who allows their pet to defecate on a neighbors yard, dig where ever they want or destroy another’s property. It’s truly amazing how many pet owners will hook their dog to a leash and then walk them over to a neighbors grass and let the pet to do their thing! These same people won’t let their dog go in their own yard for fear of hurting the grass or because of the mess or smell. However, it’s OK to do it on someone else’s turf. A lot of time you can find these same people sneaking around after hours to walk their pet just to make sure no one is watching. Needless to say, this is simply rude and not acceptable behavior. Fortunately, there are ways to deal with this problem and this article will explain some those treatment options. To stop dogs from defecating in your yard, use a product called ROPEL GRANULES. These granules work two ways. First, they absorb and mask existing odors which is key to stopping the behavior in the first place. Since dogs which “mark” or scent their territory will do so over and over, the Ropel will help stop this behavior because the scenting animal is not able to find the location quite as easily as before. The second way Ropel works is that they release a slight odor which dogs don’t like. This odor is not unpleasant but is generally one they don’t find interesting and don’t acknowledge. The Granules are time released and can last two to four weeks per application. The end result is they will go elsewhere and will ultimately keep away from treated areas. It will not hurt non-target animals and is safe around children. Use the granules in two ways. First, apply it directly to the exact spots dogs are targeting to urinate and defecate. Second, apply the granules along property border lines making an invisible barrier or “fence” stray dogs won’t want to cross. If the pet is one which is being walked on a leash and the owner continues to walk the pet on your property even after you have asked them not to, consider setting out some TREATMENT WARNING SIGNS. These are the same Professional Signs required to be placed out by commercial applicators that treat yards for a living. They are designed to alert adults that the grass was recently treated and should be avoided. If you want to have the best impact, then use both the Ropel Granules and these signs. In most cases, the person walking the pet will do so in some other direction or simply walk around your yard. Once this pattern is followed for a week or so, they will unconsciously start to avoid your land altogether without knowing. However, keeping the signs out for a week or so at a time and doing this every month or so will reinforce to the pet owner that they need to stay away. To help let scented granules last longer, you can install GRANULE GUARDS. They will protect the granules from the rain and sun so they will last longer. Each Guard will hold 1/2 lb of granules and can be placed on the ground using the enclosed spike or the spike can be removed so the Guard will lie flat. These really pay dividends if you want your granules to last as long as possible. And when combined with the Warning Signs, most any annoying neighbor with their pet will stay off your grass for good!!! If the dog is still persistent after the use of Ropel you may want to take a more aggressive approach. We have a MOTION ACTIVATED WATER SPRAYER which is ideal for this application. It’s such a good product because you can use it safely knowing you won’t hurt your neighbors dog plus it really works. This device hooks up to your garden hose and has a stake which is pushed into the ground. Set it out in the area you want to protect. 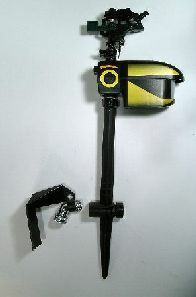 It has a zone or field of view which is adjustable up to 35 feet away. The “eye” has a field of view of over 45 degrees. Once you have it positioned to protect your yard the next time any nuisance dog comes into range the “eye” will see it, blast it with a high pressure 3 second shot of water and then reset itself in about 10 seconds. It is now ready to spray again! One or two experiences with this unit and most dogs stay away. It even has a pass through connection so that several can be hooked up in series. Excellent to use at property lines as well as gardens, fence rows, poles and automobiles. It will work 24 hours a day and runs off a 9 volt battery which will last for several months. If you have nuisance dogs which are owned by someone else and the dogs are damaging things in your yard, there is a product called ROPEL SPRAY which will stop this behavior. Simply spray the object or plant they are chewing and they will leave it alone. Ropel liquid tastes terrible and once a dog gets a taste they will not chew the treated object again. Ropel is available in many sizes. You can treat plants, structures, lawn ornaments, trees, furniture, tools, fences, or anything a dog or other nuisance animal may chew. Although rain will wash it away over time, one experience from chewing something treated with Ropel would be enough to keep the animal from doing it again. Consider using some inside if you own a dog and need to stop it from randomly chewing. This is a common behavior for puppies. During the teething process, they will many times find something to their liking in the home like a small rug, a piece of furniture or maybe some curtains. Whatever it is, just a few squirts with the Ropel will get it to stop this destructive behavior. Ropel tastes really bad and once they get a mouthful of it, they won’t want any again. If the dogs are persistent and continue to come around peeing and pooping in the yard, install YARD GARDS to protect the area along with the granules. These devices have been around for many years and their technology has gotten better. By emitting sounds in a frequency range which dogs do not like, you can keep them out of certain areas of your yard. These units are a great addition to the repelling granules and since you can set them to operate discreeting, out of sight and with little maintenance, they’re an excellent tool for keeping unwanted dogs away. So if you have a dog urinating or defecating on your property, start with the Ropel. The Motion Activated Water Sprayer is the next step up and if you are looking to cover a large area then you should consider combining the granules with a Yard Gard to get the best results possible. If the dog you are dealing with is not your own, placing a transmitter on it’s collar won’t be an option. For this situation, the TATTLE TALE ALARM may be better suited. 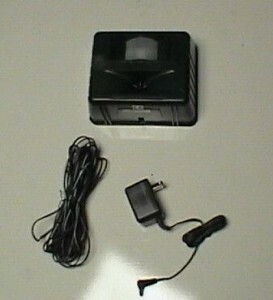 This device has audible alarm which sounds off when vibration or movement is detected. This sound will work two ways. First, it will almost always scare away targeted dogs when it goes off. Second, since this sound can be heard for some distance, you will be able to know when any animal is within the range of the Tattle Tale. Use one for problem situations when you want to know something is in your yard or somewhere in the home that will require some extra action on your part. Consider the Tattle Tale to be something you can employ to act as a sound deterrent as well as a way for you to be notified of certain activity in a given area. If you have a problem with a neighbor’s dog barking all the time, you can use ultra sound to train them to stop. Our ULTRA SOUND BARKER STOPPER uses similar sounds as the Ultra Sound Repeller. Many times dogs become trained to start barking when you go outside. Though they may be next door in a cage or fenced yard, it is both annoying and disconcerting to have them do this. You now have the ability to stop them from this behavior using our Barker Stopper. There are two ways of doing this. First, you can physically carry the unit out with you and turn it on as soon as the animal starts to bark. In a short period of time the animal will learn you have the ability to generate a sound it does not like. If the animal leaves, turn the unit off. You will effectively be training the dog to stay away from you when you are present. Over time the dog will simply leave upon your arrival; it will figure out to stay away otherwise it will have to endure that terrible sound. 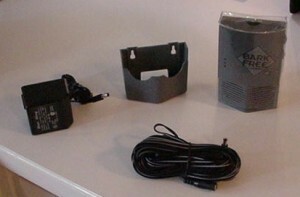 The second way to use the unit is to install them in your yard pointing at the target animal which is barking. The Barker Stopper has sensors which can be adjusted so that you control just how loud the animal must bark to activate the device. Set one or more units out where you need to stop annoying dogs from barking and you will train them to leave you alone and keep quiet. If the dog problem is one which due to random conflicts when walking or because local residents let their animals wander about off a lease, you may consider getting a PORTABLE DOG REPELLER. This device is most commonly used by service people who deliver mail, boxes, etc. and need some type of a defense to ward off loose and possibly dangerous dogs. The Dog Repeller sends out Ultra Sound which is annoying and alarming to oncoming dogs when activated. This sound will make them wary of you and in most cases keep them away altogether. It is small enough to carry concealed and can be triggered quickly. Use it when jogging, walking, biking, hiking, etc. and the risk of conflict with dogs is present. 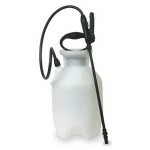 It can also be used as a training aid for hard to handle animals who are disobedient. As a last resort, some DOG REPELLENT SPRAY may be needed. This Capsaicin based aerosol will disarm and confuse most any attacking dog. It has a range up to 10 feet and won’t permanently hurt the target animal. However, it will stop most any aggressive behavior and allow for you to move away from the immediate danger. Dogs which have been urinating in your yard may have created a scent that is strong. This can also occur where they have been defecating. Although Ropel Granules mentioned above can be used to stop the animals from doing this where you treat, the current odor may be offensive enough to treat with QUICK ACTION ODOR NEUTRALIZER. This is a biological enzyme which “eats” the bacteria and other components of dog urine and feces. 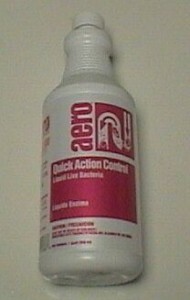 As Quick Action works on the odor it will neutralize. This process will probably happen over time as rain and sun helps to break odor areas. However, this could take several months. If you treat with Quick Action, the odor will quickly dissipate. Use it on cement, buildings, lawn areas, pine straw, crawl spaces, dog kennels, fence rows and anywhere dogs or cats have been going. This product will work best when it’s applied directly to the scents and this can sometimes be hard to locate. 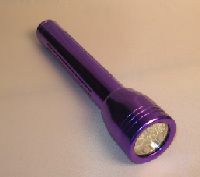 Use our PORTABLE BLACK LIGHT to help find exact locations of urine and fece odors. Simply turn it on during low to no light conditions and the light will reflect just where the scent is located which will inform you of where you need to apply Quick Action. This will help you get the results you want all the more quickly as well as save in product usage by minimizing wasted applications. Another product to consider using is LAWN GREEN. This is essentially a biodegradeable paint which has been designed to be applied over turf and other plants for the purpose of masking damage due to fungus, urine and drought. Mix it up in any of the SPRAYERS we have listed for its application and you will be able to conceal the damage urinating dogs have caused. Treatments will usually last 4-8 weeks which is enough time for new plant growth to replace that which has been damaged. Wild dogs which are killing livestock and posing a threat to people need to be trapped. It is a shame to see this happen, but more and more animals find themselves abandoned and having to find food any way they can. These dogs may become desperate and dangerous. 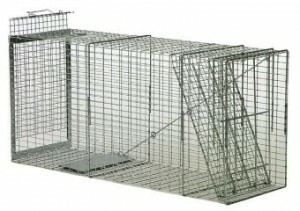 If you have such a dog or a pack of dogs in your area which are causing problems, there are several live traps which can be used to catch them. 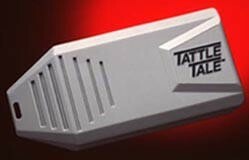 For small animals up to 25 lbs, you can use our LT151842. The LT151842 is best for animals which are tall, slender and under 30 lbs. For animals 45 lbs to 75 lbs, use our LT152248. 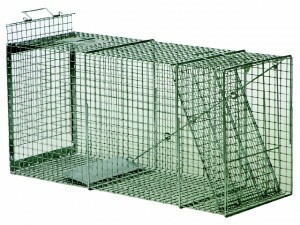 Any animals much over 75 lbs should be trapped with one of our large traps. Though the mid sized design may work, a trap too small could lead to the dog escaping. This bad experience will teach most any dog to avoid traps in the future and trap shyness would likely prevent future live trapping. So for these largest of dogs, get the LT202872. And though something like beef should work for lure, a great combination of lure and attractant to use is CANINE FOOD BAIT and LONG DISTANCE CANINE BAIT. 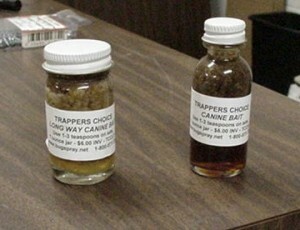 These concentrated baits are designed to be used in tandem. The Long Distance formulation will get the target dog close to the trap; the Canine Food Bait will get wary dogs into the trap. Our specially formulated scent is too much for any dog to resist when added to some beef In general, it is always better to use a trap bigger than needed. Dogs will always enter a trap which is bigger than them but rarely one that is too small. Nuisance dogs can be a problem. Wild dogs should be trapped and either relocated or destroyed – depending on local ordinances. Local dogs which use your property for defecating, chewing or simply digging in the ground can be stopped with some of the new repellent materials available. Please tell me where I can purchase Ropel Granules for my yard so the neighbors dog will not poop in mine? My yard looks like a dog farm. Thanks…Will moth balls help??? Moth balls won’t repel dogs. As their label details, they’re for moth’s only and must be used in small areas like a storage chest or closet inside the home and not outside. For dogs, you need to employ at least one of the products we have listed above if you want to keep them off your lawn. For starters, I suggest getting some Ropel Granules and Lawn Signs. Anyone walking their dog that encounters the signs will keep their dogs away. Remember, dogs that are being walked will have no choice but to go where their owner brings them so if you only apply Ropel, the dogs which are on leashes won’t want to be around your yard but they’ll have no choice because many times the dog’s owner won’t even know you applied anything. But if you have some signs set out too, they’ll know something is there and stay away. And its for this reason the Ropel alone will usually not work. Now for the rogue dogs that are coming around unleashed, the Ropel will no doubt help and should be put out anywhere you’re finding droppings along with the signs. Now something else you should no doubt employ which works great is the Yard Gard. 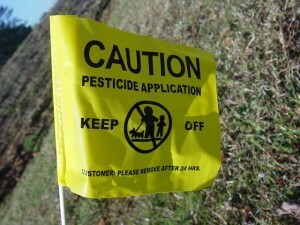 These can be placed out on your property some 10-20 feet inward from where the dogs are entering. These devices use motion detectors to turn them “on” automatically so when a dog or cat comes onto the property, the Yard Gard will send out ultra sound which will bother the invading animal. The net result is that dogs and cats will avoid anywhere the sound can be heard. Yard Gards are highly effective at chasing dogs away and will usually do the job alone. Plus they will last for many years so in the long run, more cost effective to deploy compared to using the Ropel which needs to be replaced every 2-4 weeks. We have cats. Will your products make them not want to be in the yard or will it just work on dogs? In all cases you can configure the device (granule, spray or sound) to target just the wandering nuisance dogs and once installed, nothing listed in our article would pose a threat to any pet that lives on the property. The key here is “living”. When it comes to dogs and cats (and most animals), the territory where they live is very much viewed differently from a property in which they are a stranger. So the net effect of the repellents on invading dogs is that it bothers them largely because they’re not used to the property and it isn’t their native “territory”. This is in fact why the repellents will many times work so well on them. But for dogs or cats that live on the property; they’ll typically ignore the device as if it’s not present once they find it and acknowledge it’s presence. The only exception to this would be the traps. So if you were to install a live trap for the dog and your cats were curious and entered, they could very well get caught. But other than the traps, all of the other products can be employed without impacting your pets. I am looking for an effective HANDY DEVICE (SUCH AS DONG WHISTLE?) to deter nuisance dogs from urinating and defecating in and around my apartment block where I live. Can you please help. Thank you. We’ve got two options. The first is a small device you carry. 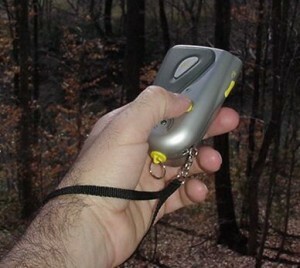 Generally used by people walking or jogging to ward off dogs, this device is manually controlled and when turned on, will release a sound that effectively chases dogs away. The second device is more of a permanent solution. These units rely on the same sound to repel dogs but instead of being carried around and manually activated, you’ll instead install these around the yard and landscaping so they work around the clock – even when you’re not present. These devices use a motion sensor to monitor the surrounding area and once unwanted animals like dogs enter the sensors range, it will activate and chase the intruder away. People can’t hear the sound so we’re not affected and since the sound isn’t harmful, there is no danger or risk to other wildlife in the area. I have two hunting dogs that love our neighbor’s yard–they have a dog too. However, every time I let my dogs out, they head directly to their house and pee on their lamppost. I would like to order RO-PEL, but have some questions. Are there any ingredients in this product that would be harmful to these dogs if ingested or inhaled? Also, will this product be harmful to humans if inhaled and will it remain odorless to humans? Lastly, will this product ruin grass, wood, pavement etc. and if not, can I just sprinkle it around the exterior of their entire house? Thanks for your time. 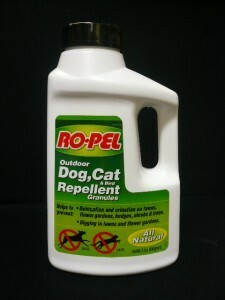 First and foremost, Ropel (in both liquid and granular form) will not pose a hazard to dogs, people or other wildlife. In fact it has been formulated with safety in mind so it can be applied in all these areas safely with zero impact to the local environment. Second, to get the best results possible, it would be wise to cover as much of their turf as possible with Ropel. That means sprinkling it around their entire home would be smart. But it would also be wise to put some along the property line the dogs are crossing to access the lamppost. Basically you should try to make an invisible fence as this will help establish a “no cross” line they will instinctively learn over time. I have helped many customers with similar problems. And in many of these cases, the problem can many times need more than just Ropel. So here are the two other “tools” we have seen that would definitely do the job should the Ropel fail or if you feel the residual action of the Ropel isn’t lasting long enough. The first alternate option is to negate or remove the odor all the dogs urinating have established. Basically once an area is being used for urination, it will harbor odors that will attract dogs far and wide. So to diffuse the use of the lamppost, it would be helpful to neutralize the scent. This can be done using the NNZ listed above. Safe for use on plants, grass, etc., NNZ will “eat” the odor and eliminate it within a day. This effect will diffuse all dogs from wanting to use the lamppost which in turn will have a far greater impact. Remember, your dogs are wanting to urinate on it because they smell other dogs urine. And since the impulse to urinate in such areas can be very strong and uncontrollable for some dogs, the Ropel may not stop this behavior from every dog doing it. And if there are other dogs in the neighborhood urinating on this post after the Ropel is applied, the renewed scent will no doubt over take the Ropel and at some point cause your dogs to go there again unless you are continually applying the Ropel over and over. For obvious reasons this can be time consuming and costly. Conversely, spraying the pole and surrounding ground with a gallon or two of mixed NNZ (8 oz per gallon of water) can really help your cause. And it will last a lot longer. Basically doing this once every 2-3 months can do the job and in turn, eliminate the need for Ropel altogether. Lastly, another option to consider is to install an Ultrasound device. This setup would work instantly and eliminate the need for Ropel. And it will stop all dogs from coming around the lamppost except the ones that live on the property. Basically the ultra sound works as a type of “alarm” to dogs that don’t live on the property. And the sound is basically telling them “stay away”. The ultra sound cannot hurt them. Its basically in the frequency range that alerts them and the message is loud and clear: Stay Away! I would expect that simply installing one of these behind the lamppost set to “motion detector” mode would provide instant results. You could easily set it at ground level, say 5-10 feet behind the lamppost, so that any dog getting close to it would set the device off instantly. The unit runs on batteries and they typically last 6-8 months so it would be a cost effective setup. And the unit could be mounted up high as well pointing down if such an installation is better suited for the area needing protection. And if you combine the Ultra Sound with the NNZ? Well, you’d get a permanent and long lasting fix for sure.